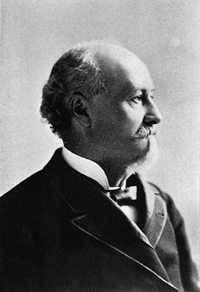 Octave Chanute (1832-1910), born in France, was a naturalized American. He was a talented and highly-successful civil engineer. Chanute designed the first bridge (railroad) over the Missouri River and designed the Union stockyards in Chicago and Kansas City. Following his early retirement, Chanute took up a never-ending campaign to champion the invention of the airplane. He acted as a tireless publicist, collecting information from all corners of the globe and sending out information to all askers. Of particular import, his long correspondence with Louis Mouillard. Further, the interest of a prominent engineer in matters of aviation lent a considerable respectability to the nascent field. In 1894, Chanute published a compendium of early aviation experiments, Progress in Flying Machines, that was widely read and respected. In 1896, Chanute became an even more active participant, commissioning several craft in 1896 which were contsructed in William Avery's shop. Chanute's favorite was the Katydid, which featured multiple wings that could be moved about on the fuselage to facilitate experimentation. 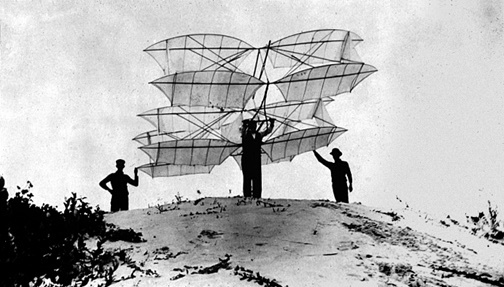 A second machine, built late in 1896, was the Chanute/Herring Biplane, a small but relatively sturdy glider that employed Pratt trussing to achieve its considerable strength. 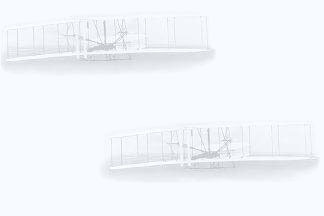 Both Herring and Chanute contributed to the design, which proved influential -- the Wright brothers copied their gliders after the basic structure of this glider, for example. 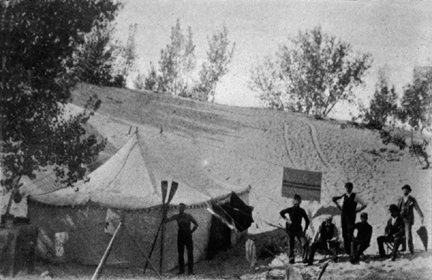 These craft were tested in the dunes of Indiana in 1896. Chanute also sponsored the work of others, including the Albatross by Bustov and a paper tube glider that was ruined by a rainstorm before it could be tested. The Wrights began a long association with Chanute when Wilbur turned his talents to the invention of the airplane in 1899. The Wrights corresponded with Chanute on a routine basis, spelling out their thoughts to him in careful detail. Chanute unfortunately had only an incomplete understanding of the Wrights' efforts, but his encouragement doubtless helped the brothers motivations in times of trouble. 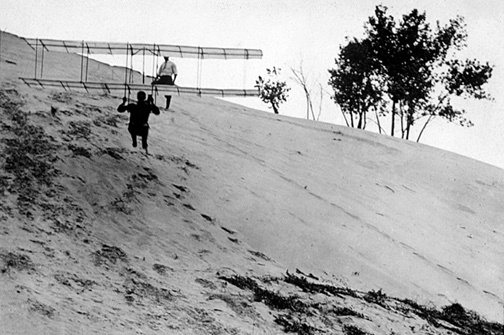 Chanute also witnessed many of the early Wright flights, including the 1902 glider and 1904 and 1905 powered flyer. Chanute became estranged from the Wrights during their efforts to sell their airplane. He did not seem to realize the magnitude of their accomplishment, and urged the brothers to sell their ideas at a bargain price. The two brothers, fully cognizant of the import of their work, demurred. About the time of his death, Chanute and the Wrights were working towards a reconciliation. The book, The Papers of Wilbur and Orville Wright: Including the Chanute-Wright Letters and Other Papers of Octave Chanute, by M.W. McFarland (ed.). Click on the title for information and reviews, and/or to order from Amazon.com. Visit an excellent resource on another site: The Octave Chanute Pages.